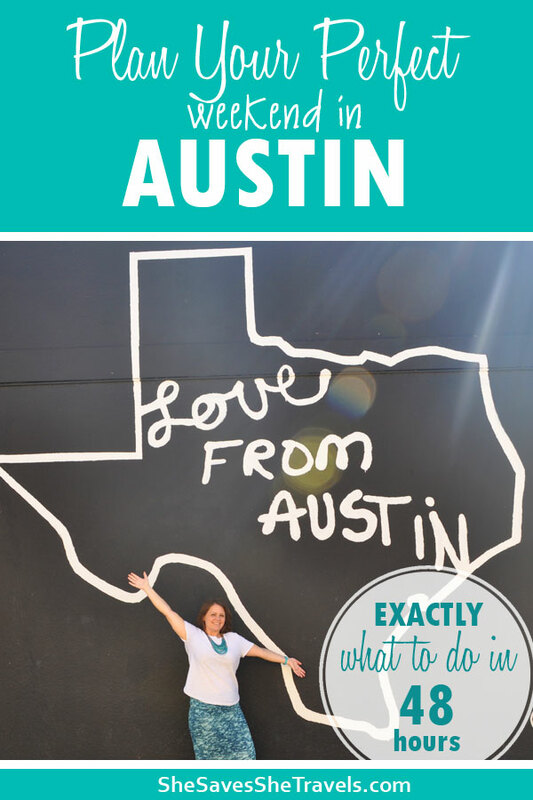 If Austin, Texas is not currently on your bucket list, it needs to be! I recently spent a few days there for an anniversary weekend, and the city is every bit as eclectic and fun as I expected. 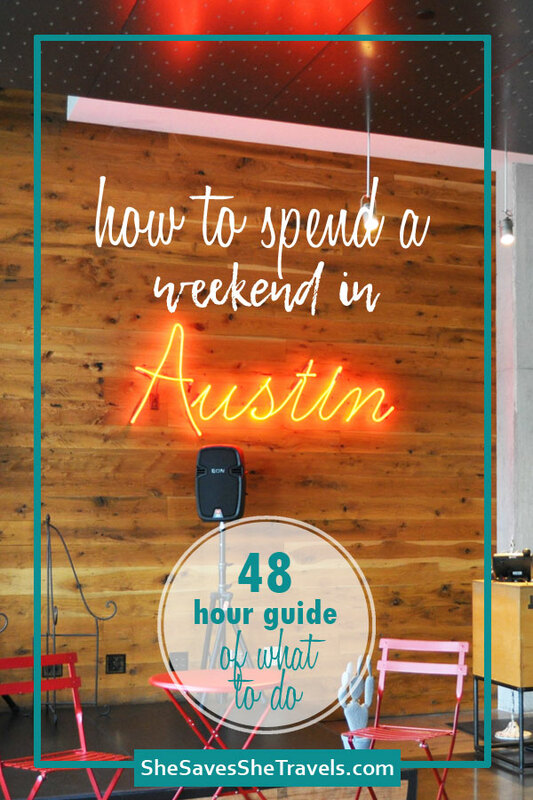 A weekend in Austin is the perfect destination for a girls getaway or couples trip. The downtown scene is fantastic for entertainment, shopping, music and great food! It’s easy to get around and pretty much everything you need is within a few blocks. While the city is beautiful, if you’re looking to enjoy nature or go hiking, there’s plenty of options with a short Uber ride. And friends, can we even talk about the music scene? I mean, Austin didn’t get its nickname, the live music capital of the world, for nothing! Even the airport has live musicians belting it out at the bar, instead of boring airport music. It truly is incredible. Start your morning off with breakfast tacos. Austin is known for their fantastic, authentic and even unique foods. So get some delicious tacos to start your day off right. Here’s a list of 22 epic breakfast tacos around the city. Next, head out to enjoy fresh the air in some green space. The Austin area has a ton of hiking, which was a bit surprising to me! Lots of the trails are around water which is a relaxing way to spend the morning. While there are many options, I’d recommend Barton Creek Greenbelt Trail, Mount Bonnell or McKinney State Park. You can expect a lot of the pathways to be easy hikes, as in not much elevation. Some of the trails, especially Mount Bonnell can be busy with tourists (and locals) so head out there early to avoid the crowds. Also grab your reusable water bottle and bug spray, you’ll need it. 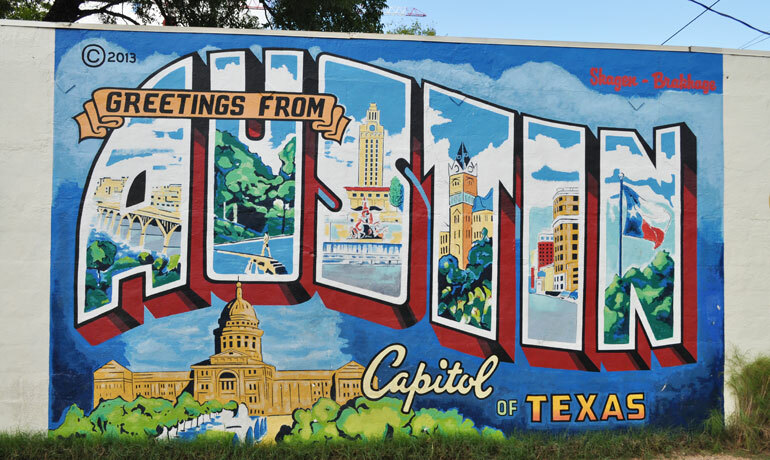 A weekend in Austin deserves – no requires – a food truck meal. Austin’s food trucks aren’t your typical burgers, philly’s and smoothies. Although you can find those, too. Instead, imagine Louisiana-style blackened chicken with dirty rice, spicy chickpea wraps, Taiwanese-style chicken bites, BBQ seitan sandwiches, organic street corn and campfire churros. Friends, the list goes on. Is your mouth watering yet? Next, head out for some shopping to grab something unique to take back home. Shopping on South First Street is a great place for art, music, clothing, and of course, sweet treats. Step into luxury stores at The Domain where you can shop Louis Vuitton, Neiman Marcus, Tiffany & Co. or about 100 others. 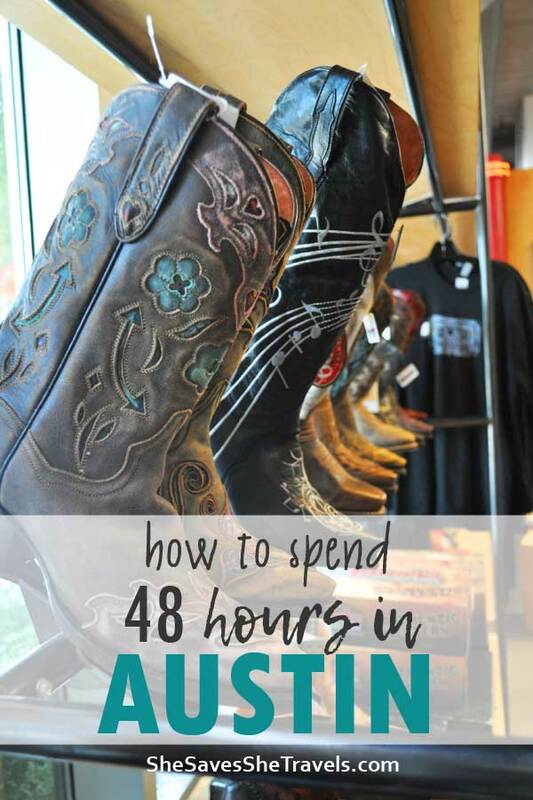 Or head down to SoCo (South Congress) to check out vintage, funky and local boutiques. You’ve planned. You’ve dreamed. And now it’s getting close. Your next vacation. But how do you make this trip memorable? And with as little stress as possible? 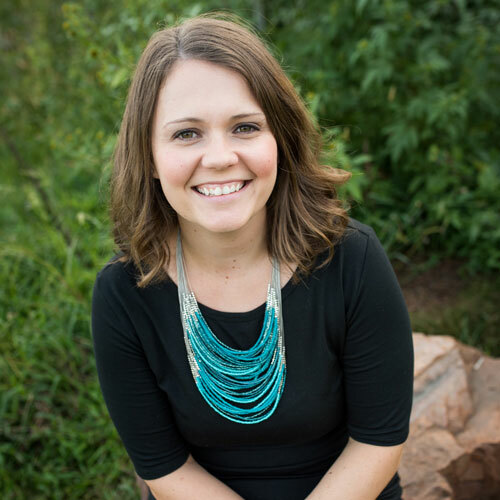 Well, here are my top 10 tips to make this trip your best vacation ever. 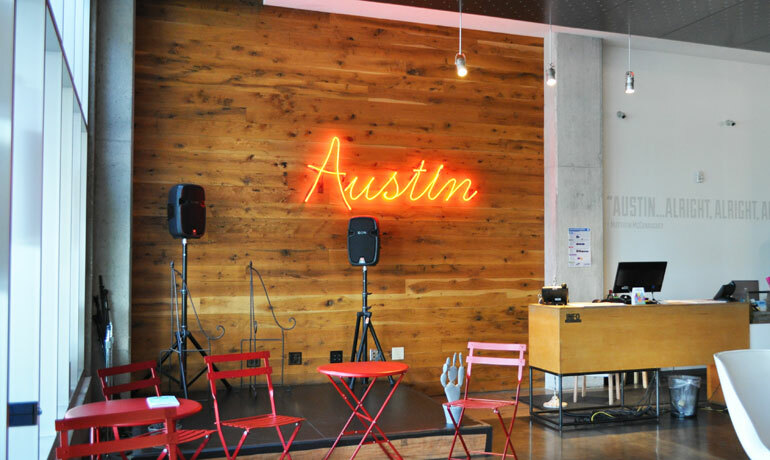 It’s not hard to find a restaurant or bar with excellent food and live music in Austin. Especially in the downtown area! 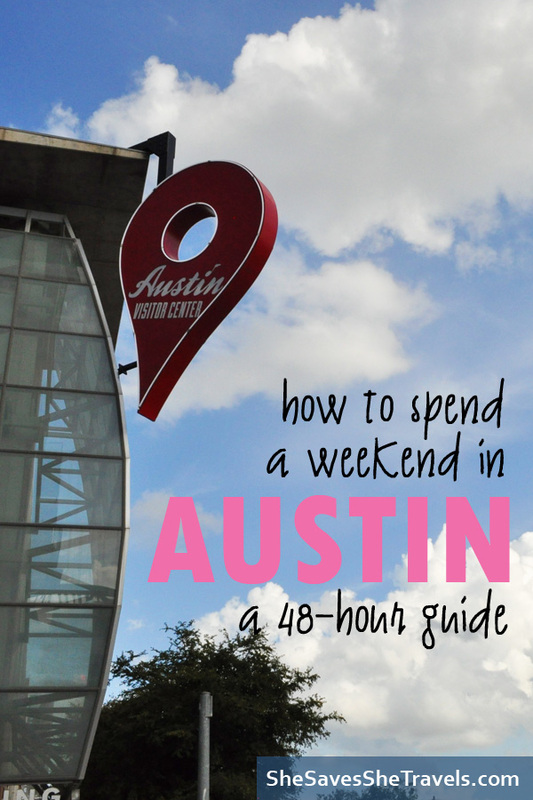 So for a perfect weekend in Austin, put this must-do on your list. You could literally walk the streets of downtown and let your senses guide you. The warm Texas air lends to open-air concept restaurants. So you’ll likely be able to find a great spot to listen to live music. And there’s every type of music, too. From modern country to honky-tonk, to blues and soul, to rock or punk music. It’s all available to you. 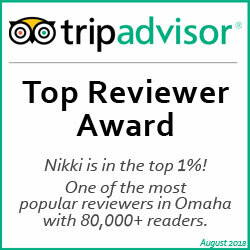 To help find your perfect dinner destination, I’d recommend the TripAdvisor app or using Yelp. Real-time reviews will help you understand the food and mood of the place. Afterward, go lay your head on a pillow. It’s been a long day! South Congress Avenue is fun, artsy and oh-so-delicious! SoCo is the perfect spot for some of the most delicious brunch restaurants you’ve had in your life! Whether you’re going for homemade bagels, crepes and eggs or simply the best coffee you’ve had in ages, you’ll find just what you’re looking for to start your day off right. Since you’re in SoCo, check out the local murals in the area. You can even book a walking tour that will take you around the city with the most efficient route. Or you can hop on a scooter and get around quicker and it’s a bit more fun than walking! The entire downtown area has murals on just about every street. Be on the lookout as you’re making your way around the city, you never know when one is hiding behind the next turn! From there, head out to a local ice cream place to catch your breath and take a little break from the walking (or scooting). Amy’s Ice Cream is a local favorite, voted the best ice cream in Austin! And over 350 flavors – hello! With over a dozen locations, there’s sure to be one around. A perfect dinner for your weekend in Austin is at a local BBQ place. So many of the best BBQ joints have been around for decades, so you know they’re doing something right! You may have heard of Franklin Barbecue but it’s seriously an all-day event. The line wraps around the building and takes hours to get to the front of the line. So since you’re limited on time, head on over to Stubbs Bar-B-Q or Terry Black’s BBQ. 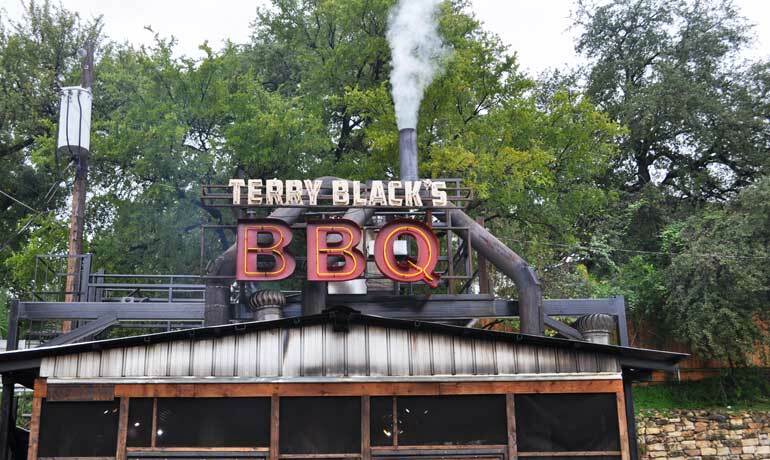 For some of the best brisket, beans, corn muffins and peach cobbler you’ve ever tasted, head on over to Terry Black’s. You can literally smell the smoke stack from blocks away, so you know you’re in for some excellent BBQ. Nightlife on 6th Street or Rainey Street. Both areas are fantastic for live music, dancing, singing and general partying to make your weekend in Austin one to remember (or maybe not)! Grab lunch or dinner at a restaurant with a view. A great view of 6th street is the rooftop deck at Parkside on 6th Street. Or for a water view head over to an over-the-water dining experience at Lake Austin. Kayaking or paddle boarding. There are plenty of options so book a rental and clear your mind and get some exercise to truly make the most of your vacation. The Colorado River runs right through Austin, so you can rent gear right on the riverfront. Alternatively, check out Lake Travis, Lake Austin and Ladybird Lake. Swim at Hamilton Pool Preserve. A natural swimming hole, formed by a collapsed grotto, is quite the site. 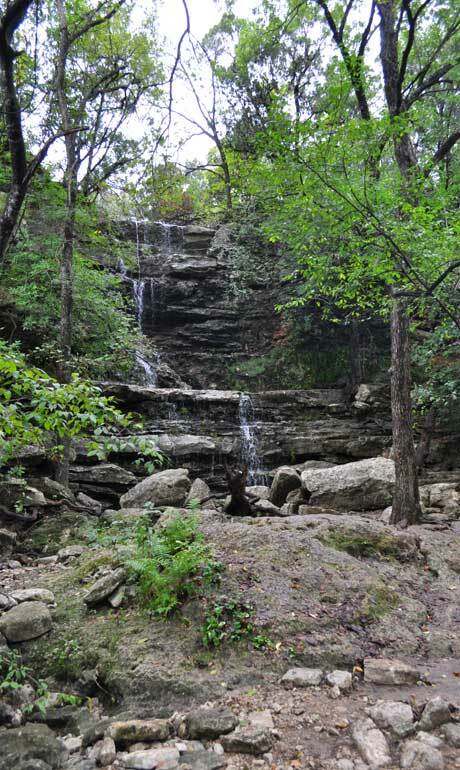 Your swimming experience will include 50-foot waterfall and massive rock formations. Enjoy a delicious margarita while you’re in Austin. 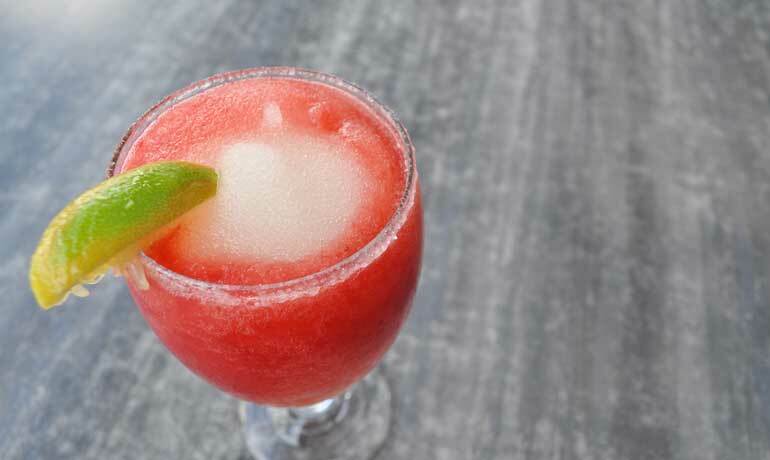 From unique flavors of curry or blackberry margaritas to traditional lime or blended strawberry margaritas, you’ll find a flavor that suits you. My favorite was at the Iron Cactus Mexican Grill & Margarita Bar on 6th street. 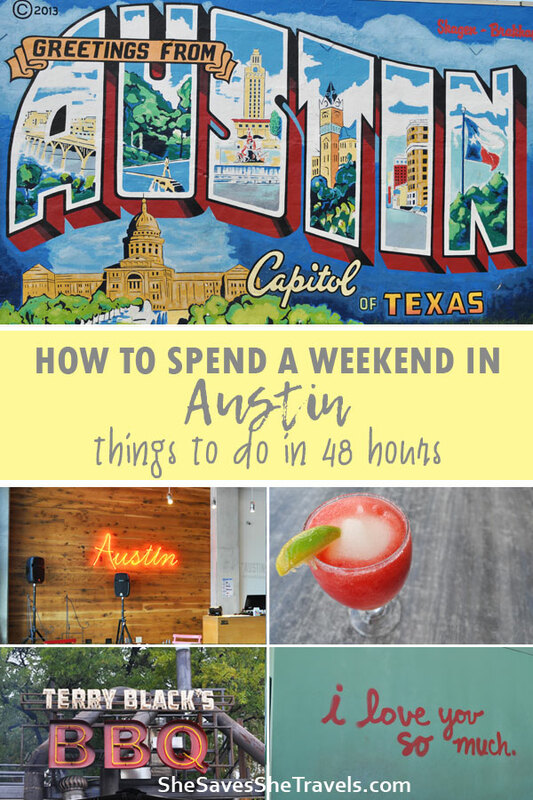 Austin is one of those places that has so much to offer that it’s impossible to do everything in a weekend. I hope this guide will help you plan your upcoming trip to the live music capital of the world. 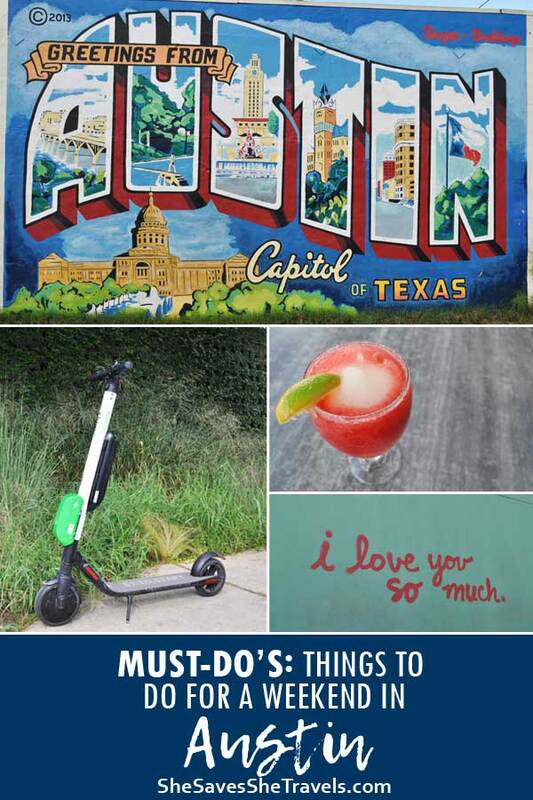 So, what are you looking forward to most in your trip to Austin? Do tell in the comments below!